Northeast Ohioans are lucky that we get to experience all four seasons. Each of these seasons brings its own beauty... and challenges, particularly when it comes to landscape management. Your property needs attention all year, even during the frigid winter months. 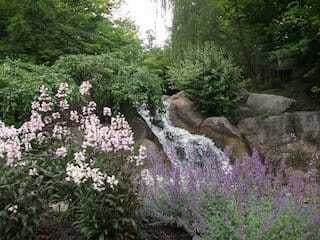 Landscape management services go far beyond pruning, planting, mowing and mulching. Your commercial property is the first thing people see when they arrive. What will their impression be? The hardscapes, trees, plants, beds and grass work together to create the full picture. To keep them healthy and beautiful, there's a lot of work that needs done in every season. As Ohioans, we pine for the days of spring and summer with its warmth and sunshine. It's often when commercial properties look their best. But, when should you plan for prep services to make sure when that sun starts shining, your property is beaming along with it? What preventative measures should be taken to protect your plants from damaging disease and insects? Many of these answers can be found here. Aside from beautification, some landscape management companies, including Turfscape, offer snow removal services. It is vital to make sure you have accessible sidewalks and parking lots for your employees and tenants, no matter when the snow storm hits. From seeding and spraying to dormant pruning and irrigation system winterization, the services need to be done at the proper time to keep operations running smoothly...and your property looking its best. As you start working on your annual budget, it helps to know what to expect each month of the year in regard to your landscape management services. Turfscape has created this guide for the services you should consider budgeting for each month of the year. The guide outlines specifically when services should be performed throughout the year, whether it be by your in-house grounds staff or your outdoor grounds maintenance contractor. If you're unhappy with your current contractor or looking to outsource your landscape management, consider the professionals at Turfscape. We offer year-round grounds maintenance services and will help create a plan with you that fits your property's needs and your organization's budget. We will create a customized proposal that will describe the services we recommend to keep your commercial property beautiful, functional, safe and healthy.